It is truly said that martial art has a lot of benefits and especially advantageous for children the most. To know what really the martial art is not the matter but all a child gets from the art is significant. It helps your child in get them moving and focused in their work. But there are some considerations that should be taken care while selecting the teacher or school to evaluate the integrity of the program. Do a little investigation in the field; know the requirement of your child before choosing a right program for him/her. The prospective coach or instructor should focus on the needs of your child than the program he is selling. Yes, martial arts provide your child a pretty good self esteem and a healthy dose of self respect. It is beneficial for the children who are especially more bossy, a little hyper or too shy. The art can help your child learning many significant life lessons and values. 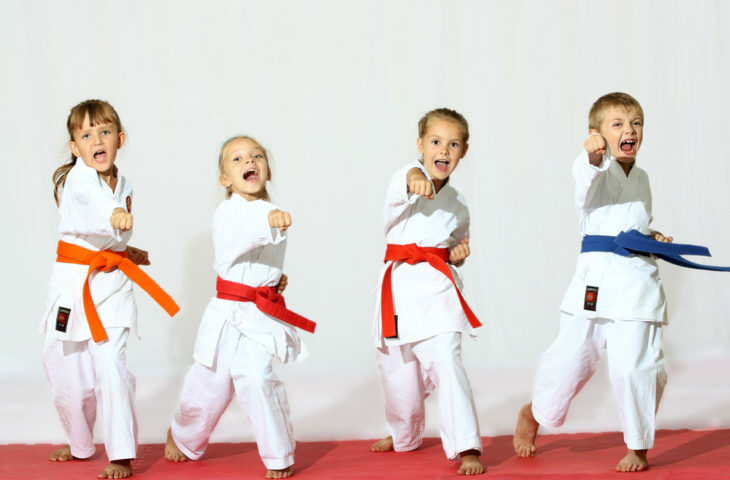 Martial arts for kids at a early stage help them to get active and moving. This is a good thing to fight against the nation’s obesity problem. Being overweight, we often feel unfit for various day to day activities and going forward the issue leads to obese and several serious health problems. If you will see from the fitness point of view, then becoming a true martial artist really refers to a extremely fit person. In this busy and advance age, everyone knows about benefits to the Internet. But quite a few know benefits in stillness and silence. That is what we need now a day. In this age we can fight with great power but it is difficult sometimes to face yourself. The art helps us to confront ourselves by taking many challenges, going through the breakthroughs and overcoming the setbacks. At the martial arts studios you won’t find a flat screen TVs and loud music system. All that you get there is just hard work and sweat. This is how the child becomes challenged, still and focused towards the future goal.